Hydrate your complexion with seamless moisture and relieve even the driest skin. 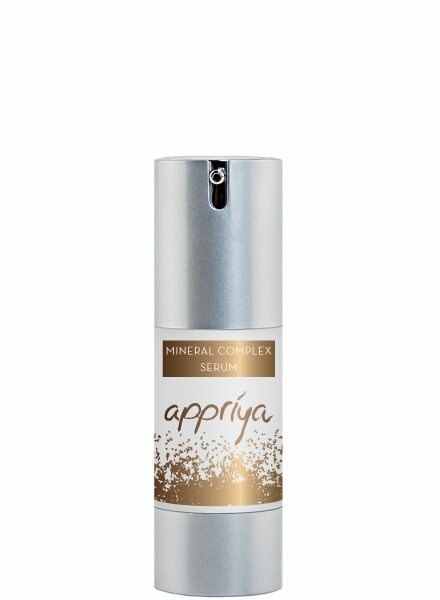 Our Mineral Complex Serum contains hyaluronic acid and niacinamide formulated to target skin tone and texture. 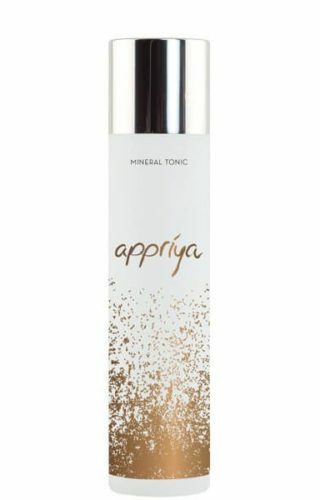 Interwoven with coconut oil, lotus flower extract and evening primrose seed extract, Appriya’s mineral serum diminishes wrinkles, calms irritation and creates a brighter, more balanced skin tone. 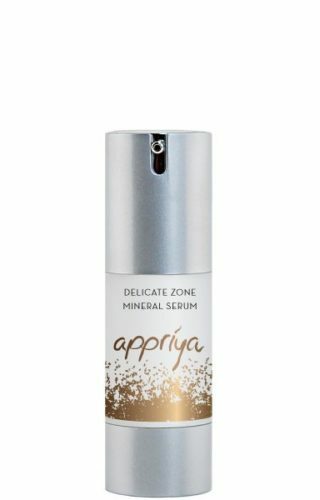 With your fingertips, gently tap one to two pumps of the Mineral Complex Serum in a circular motion on the face and neck during your day and night skin care regimen for a moisturized, youthful looking skin. 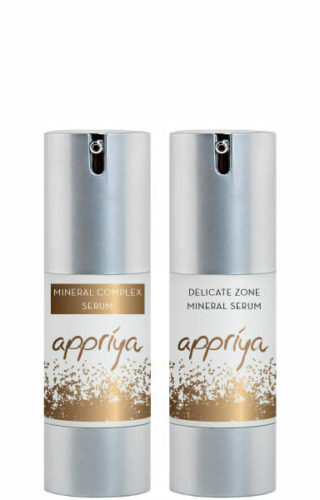 For best results apply Appriya Mineral Complex Serum after cleansing and toning and finish with protective Appriya Comprehensive Mineral Day & Night Cream. Contains antimicrobial properties to moisturize and soothe skin. Treats acne and oiliness, diminishes blackheads, minimizes pores, and reduces fine lines. Improves both skin tone and texture. Moisturizes deep into the skin, maintains hydration, and improves firmness. Provides an anti-irritation effect on the skin and decreases skin sensitivity. Improves acne, psoriasis, and eczema. Stimulates collagen and elastin fibroblast to reduce the appearance of wrinkles.